The Concordia Student Union has launched a semester-long series of free do-it-yourself workshops, all aimed at equipping students with a variety of money-saving skills. 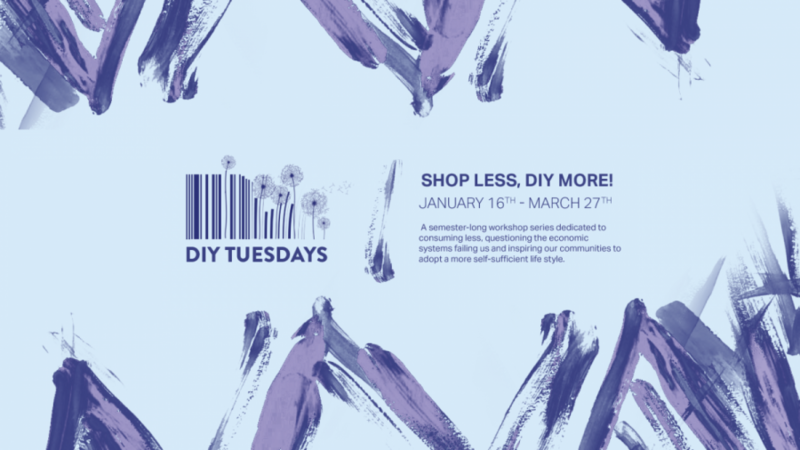 DIY Tuesdays take place every—you guessed it—Tuesday, at various locations around campus and Montreal from Jan. 16 to March 27. Students can look forward to a variety of workshops, such as kombucha making, dumpster diving, winter biking, cosmetics, and art classes. No matter the content, all workshops have the same general philosophy: shop less, learn, and create. CSU External Affairs and Mobilization Coordinator Ahmed Badr said that the program was created as a means of alleviating the great financial burden carried by students, especially by those facing circumstances that are particularly economically challenging. Badr and the CSU hope that DIY Tuesdays will not only help Concordians become better spenders, but better students as well. “The CSU is hoping to help […] acquire everyday skills to affiliate the burden and anxiety of finance so [students] can focus on their studies and improve their academic skills,” he said. Badr added that he hopes the series will become a long-term project for the CSU, and welcomes feedback from students. For more information and to register for workshops, visit their website.